Baby Time opened at the end of the baby boomer period, catering to the large families across Wisconsin. 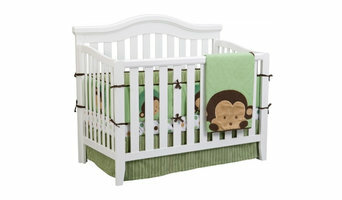 Baby Time has always offered the lowest prices along with superior products and full customer attention. Baby Time has remained loyal to its customer’s satisfaction, providing them with full customer service and new stylish furniture. The store showcases all their products that are sure to match any rooms theme and style. Baby Time offers stylish and quality cribs, beautiful dressers and armoires, luxurious gliders, car seats, bedding, rockers... and many other goods that will cater to the needs of your new arrival. With over 25 years of experience, Milwaukee and Waukesha divorce lawyer Jane Probst and Lindsey White have tackled even the most complex family law or equine law concerns with a high degree of skill and knowledge. 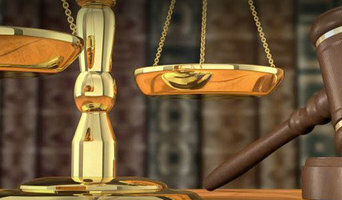 With extensive jury trial experience, they are proficient at advocating for her clients in litigation. However, she also understands every situation is different, so she will closely evaluate your case at every step to determine if litigation is required or if matters can be settled more amicably through negotiation or mediation. Jane and Lindsey take tremendous pride in approaching every client with empathy and work collaboratively with the opposing counsel to achieve the best possible results. Clients know they will advocate strongly for their rights but will also be approachable, working collaboratively with them and the opposing attorneys to get the best possible outcomes. 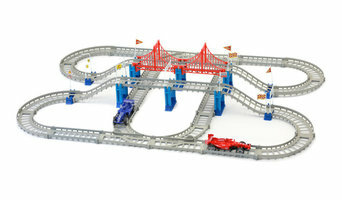 Mukikim carries multiple lines of unique toys. Our Core Belief is that children learn through play. By offering carefully selected toys for all age groups, we hope to challenge the Mind & Imaginations of children everywhere through the experience of creative play and exploration. Hipster Family is an online retailer of baby gear for parents and kids. Cornerstone Academy is one of the best Child Care Centers In Kenosha serving children from the age of six weeks to 12 years. We provide a rich and nurturing atmosphere for your child’s cognitive, social, emotional and physical growth all while in a fun learning environment. Kids LOVE us and parents TRUST us! We offer a premiere daycare location on Kenosha’s northside with highly trained staff and management. Our developmental Preschool In Kenosha WI will teach your child invaluable skills to prepare him/her for kindergarten. What does a Waukesha kids room and nursery designer do? Most designers who specialize in decor for kids’ rooms and nurseries will tell you that a child’s room isn’t just for sleeping in. Little ones need a space where they can learn, play and sleep safely. Furniture, blinds and even lighting have to work safely for both you and your little one. Whether you’re hunting for small or large brands, make sure you chat with your Waukesha, WI designer to make sure that what you buy meets safety requirements. To choose kids’ furniture that will stand up to the rigors of active play, look for high-quality furniture that meets Wisconsin standards. Make sure that each designer and manufacturer you work with is aware of any product recalls, dangerous materials and structural requirements. If you’re planning a larger project that goes beyond products, you might need to reach out to other qualified professionals for help. Here are some related professionals and vendors to complement the work of kids & nursery: Artists & Artisans, Furniture & Accessories, Interior Designers & Decorators. Find kids’ room and nursery professionals on Houzz. Narrow your search in the Professionals section of the website to Waukesha, WI kids’ room and nursery designers. You can also look through Waukesha, WI photos to find a room you like, then contact the designer who worked on it.